YouTube is amazing isn’t it? Did you know that over 72 hours of video are uploaded each minute to the site and that more than one in ten people on the planet visit it every month? However, even though these figures are in a lot of ways astounding, it may not always be the best host for videos online. Vimeo is a far smaller video site, though does offer plenty of advantages over YouTube for particular types of video – though not all. So, here’s why it could be better for you. Vimeo receives about a tenth of the YouTube audience at over 70m, though it does have a more niche audience that’s a lot more engaged with the community. The quality of the film is also something that’s more respected and there’s a significantly higher chance of you receiving constructive criticism on Vimeo. Something YouTube doesn’t often facilitate thanks to the trolling it’s famed for. Yes, 72 hours a minute – it’s quite a figure. However, it has its downside too. There is no way that every hour of those 72, let alone even a few minutes are of any real quality. 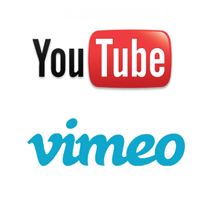 Vimeo is a far more serious prospect and has a far higher quality of video posted. We love fooling around as much as the next person, but you’re far more likely to find something of depth on Vimeo. Even with recent changes, YouTube can still have a tendency to look quite cluttered in its design – Vimeo is a far cleaner interface and video has a different focus to the site. For instance, look at the size of the frame, when compared to YouTube it’s around half a size larger. There are also no banners and you don’t have to watch an advertisement clip before the video begins and overall it doesn’t feel just as overtly commercialised. Unlike YouTube, where you need to be logged into the video account to see private videos, Vimeo allows users the chance to share videos with friends and all they have to do is type in a password to watch the video. It’s a far easier way of sending private video than the YouTube option and something a lot of people prefer. Of course, Vimeo also comes with its Pro option, which is vastly superior to its free and also Google’s YouTube options. The player has far greater options than the YouTube alternative. This is because it provides more embedded options, more advanced analytics, allows logos to be placed on players and allows for portfolio sites to be created representing products. It does cost more but there certainly are significant benefits over standard YouTube. Vimeo has a range of great benefits for certain businesses over that of YouTube and if any of the aforementioned take your interest, why not give it a try.